Hi there, Maggi here to share with you my most favorite project of late, an altered cigar box. 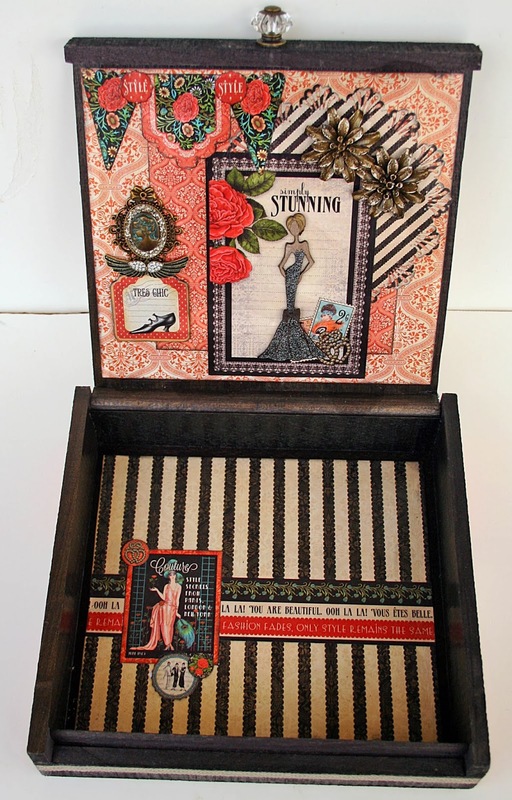 I have to thank my good friend, Jen aka jrabs for giving me this fabulous wooden cigar box. The moment I saw it I knew it would be altered with something from Graphic 45!! Well when Couture came out, I literally swooned, it was the perfect collection to use for altering my box! I used two Leaky Shed chippies on the box. 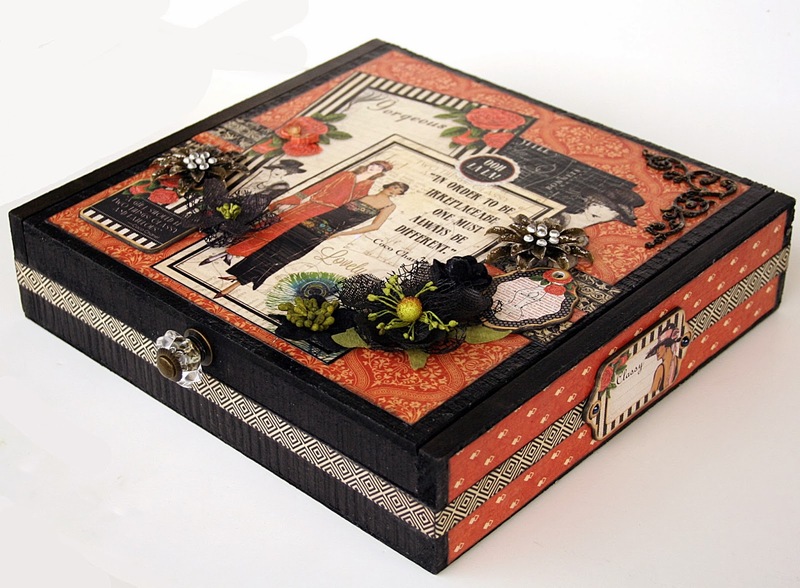 The cover has a small flower corner chippy that I've embossed with Stampendous Aged Black embossing enamel. It fits perfectly on lid of my box. Leaky Shed small flower corner embossed with Stampendous aged black embossing enamel. What could be more perfect with the Courture collection than a Leaky Shed 4" Julie Nuttig doll, Spooky. 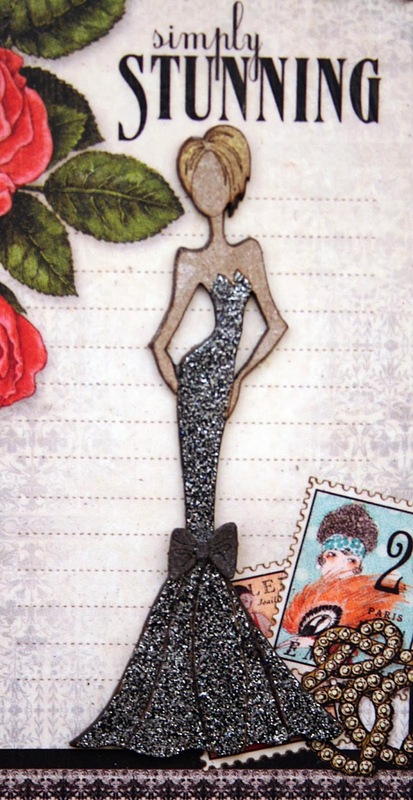 Her dress is done with Stampendous marcasite embossing powder. I love the sparkly effect it gives. 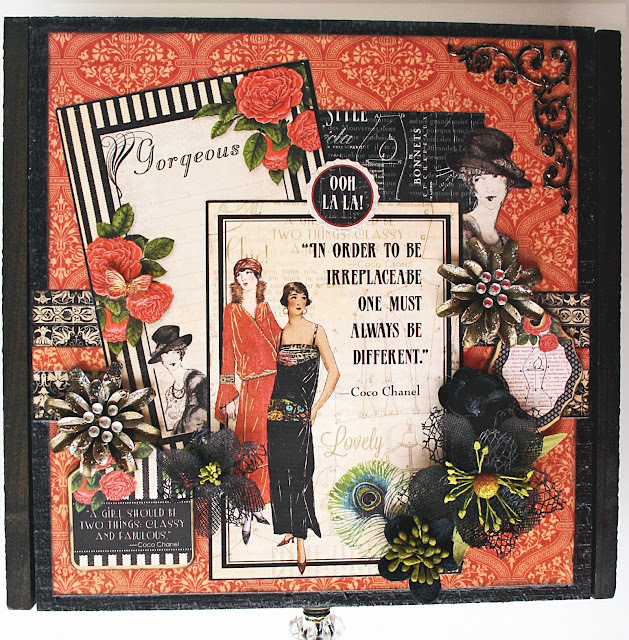 These dolls are just so cool and work with so many things, tags, layouts, cards and altered items!! 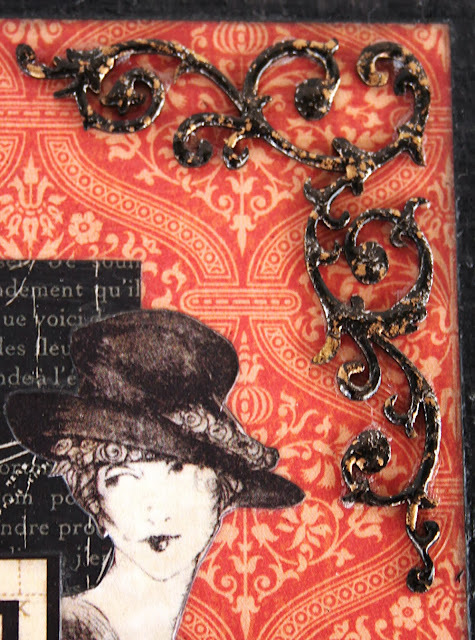 More closeups and details about how I made the box will be up on my blog tomorrow. I hope you'll stop by! So gorgeous! I loveeeeeee the colors and the flowers!! Love your projects Maggi!! Love the embossing powder on the nutting doll's dress.